Looking towards Long Row Central, showing Lipton's and Long Row Picture House. 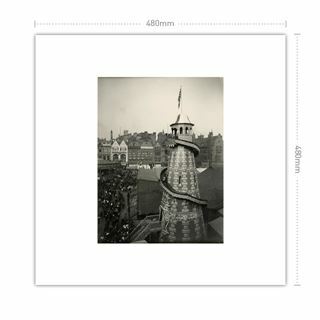 A decorated Helter-Skelter stands in the foreground. 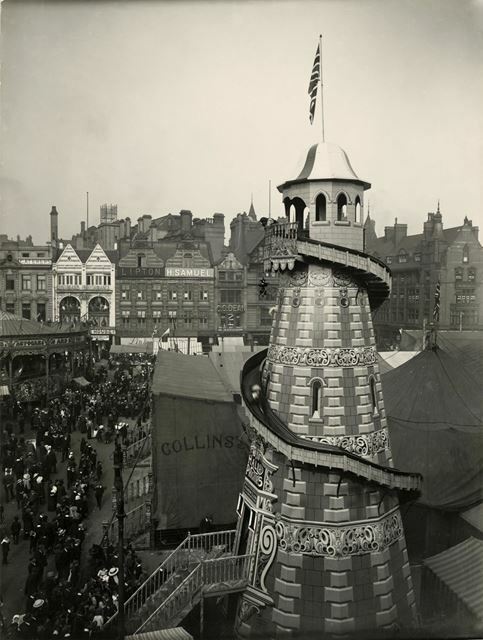 The Goose Fair was originally held in Nottingham for 8 days of October, reduced to five days in 1876. The name possibly comes from the hundreds of geese which were at one time driven from Lincolnshire and Norfolk to be sold in Nottingham. 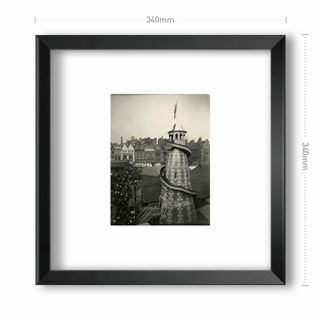 Goose Fair was first mentioned in the Nottingham Borough Records of 1541, though it was probably in existence much earlier than this. 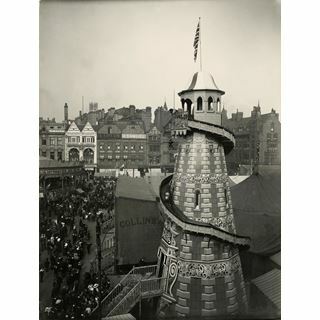 The fair grew and gradually spread to other streets in the vicinity and, with the growth of traffic, there were complaints about congestion and disruption in the city. 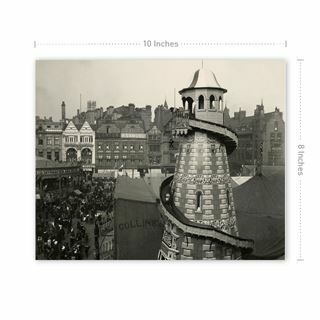 Eventually, the Goose Fair is held on the Forest Recreation Ground, about a mile north of the Old Market Square.